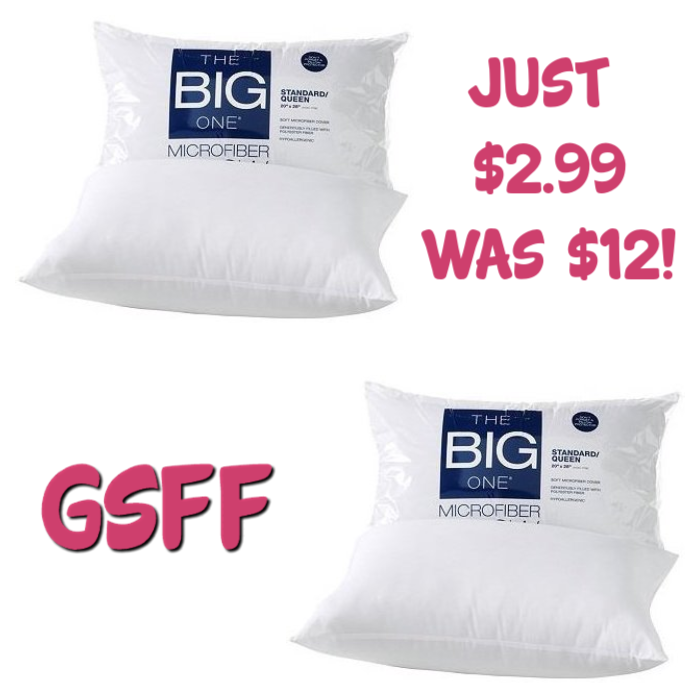 The Big One Microfiber Pillow Just $2.99! Down From $12! You are here: Home / Great Deals / The Big One Microfiber Pillow Just $2.99! Down From $12! Kohl’s Black Friday Deals are now LIVE until 10pm PST on Nov 23! Save an extra 15% off with code: CHEERFUL at checkout! PLUS, earn $15 Kohls Cash for every $50 spent redeemable on 11/24 to 12/5. You can also score FREE shipping for orders $50 or more or you can choose FREE store pick up. Hurry over to Kohls where you can get The Big One Microfiber Pillow for just $2.99, down from $12! PLUS FREE Store Pickup or FREE Shipping for orders $50 and above and earn $15 Kohl’s Cash for spending $50!